Revolutionary design that saves space, construction time, and allows for complex shapes. 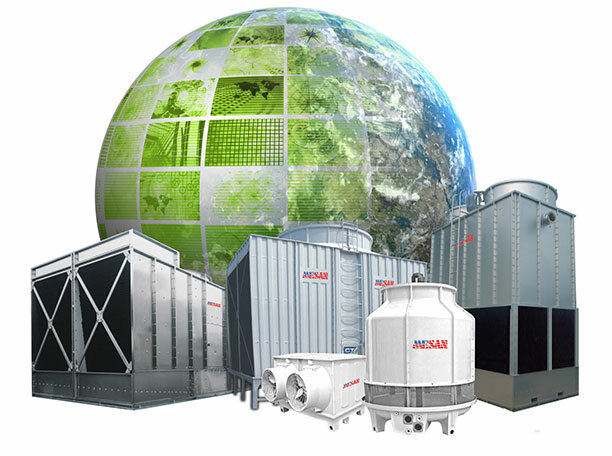 Introducing another green innovation from MESAN USA: Our new line of forced-draft cooling towers. Low Profile Cross Flow Induced Draft Cooling tower. Hurricane Resistant. Cross Flow Induced Draft Cooling tower. Counter Flow Induced Draft Cooling Tower. Cross Flow Induced Draft Cooling Tower. Cost Effective Counter Flow Induced Draft Cooling Tower Non-CTI. Closed Circuit, Cross Flow Induced Draft Fluid Cooler.